Objet1000 is the top of the line in precision prototyping: the wide-format 3D printer where beautiful surfaces meet large size. 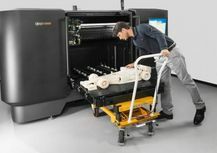 It offers the Connex platform’s highest productivity, an enormous build envelope and the virtually endless possibilities of more than 100 materials. 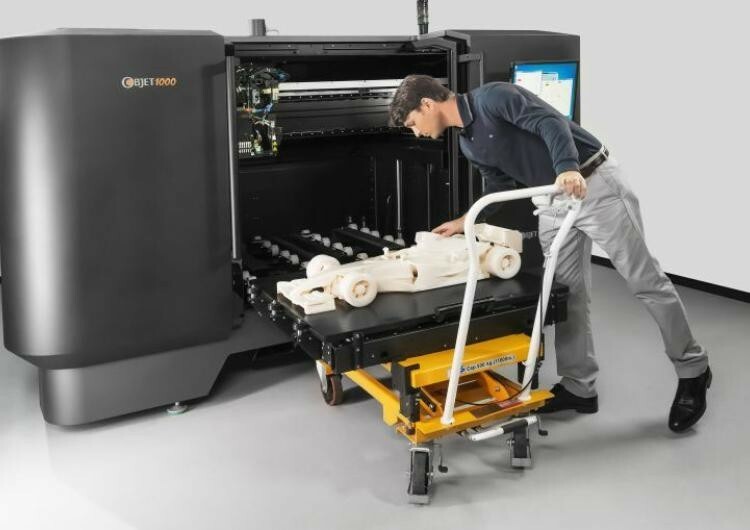 The Objet1000 is a multi-material wide-format 3D printer for rapidly creating large, industrial size models and 1:1 scale prototypes. Featuring an ultra-large build tray of 1000 x 800 x 500 mm (39.3 x 31.4 x 19.6 in. ), it enables designers, engineers & manufacturers to quickly and precisely prototype any 3D CAD design, no matter how complex or detailed. Perfectly suited for production environments including automotive, defence, aerospace, consumer goods, household appliances, industrial machinery manufacturing and other industries. 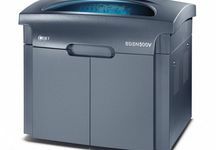 You can print as many as 14 materials in a single model to achieve the precise look & feel of your intended end product. 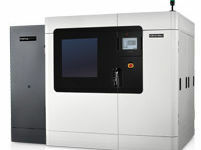 Based on effective, efficient prototyping technology, the Objet1000 combines the advanced precision of PolyJet 3D printing with renowned Connex multi-material build capability. 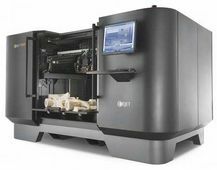 Connex technology offers a choice of more than 100 materials, including those that simulate ABS plastic. You can print as many as 14 materials in a single model to achieve the precise look and feel of your intended end product. 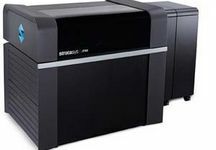 Unrivalled aesthetic performance including true, full-colour capability with texture mapping and colour gradients.